Global travel and food publishers, Fodors, has just announced their selection for the Fodor’s 100 Hotel Awards 2011, as selected by Fodor’s editors and writers worldwide. 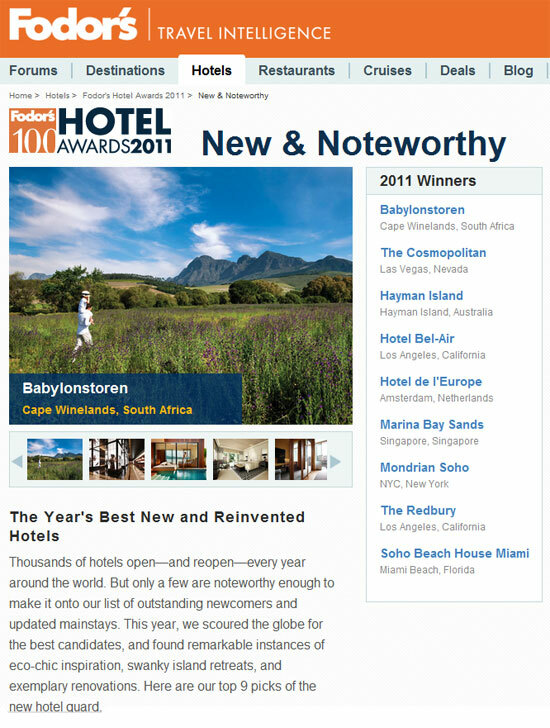 There are eight categories in the awards, and we’re delighted that Babylonstoren has been included as a winner in the New & Noteworthy category. Read the full story online here.